H.E. 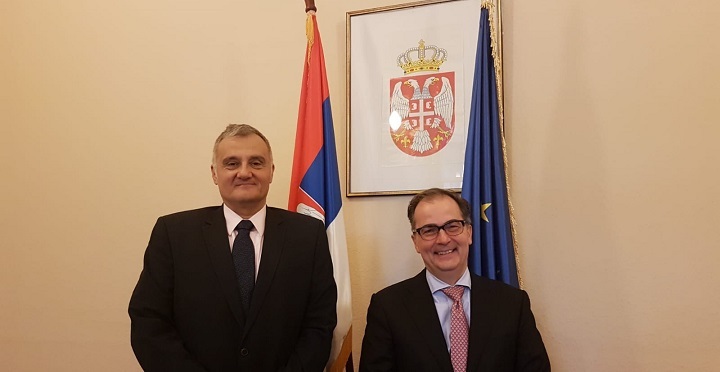 Mr. Petar Vico, the Ambassador of the Republic of Serbia to The Hague, met with the Secretary General of the Hague Conference on Private International Law, Christophe Bernasconi, at the beginning of December 2018. А number of issues of mutual interest were discussed during the meeting, including questions related to the work of the Hague Conference, modernization and efficiency-enhancing activities, as well as further improvement of cooperation between the Republic of Serbia and the Conference.